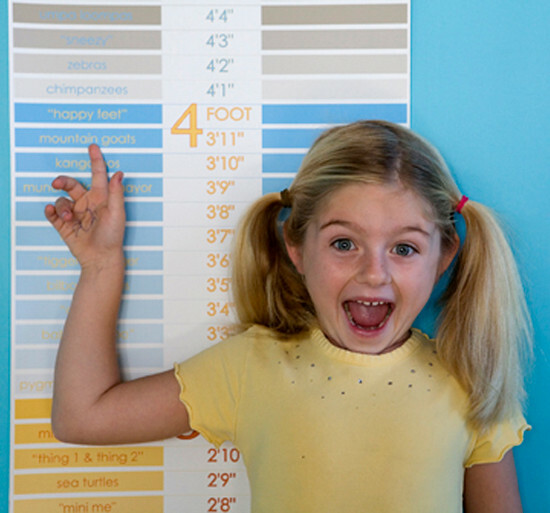 I consider myself a bit of an expert when it comes to growth and height charts for children, having written about a few. Each had its own special uniqueness and imaginative features but nothing like what this growth chart has. Canvas and personalised (marvellous! ), it compares your child’s height to famous people, animals and other family members (doubly marvellous!). 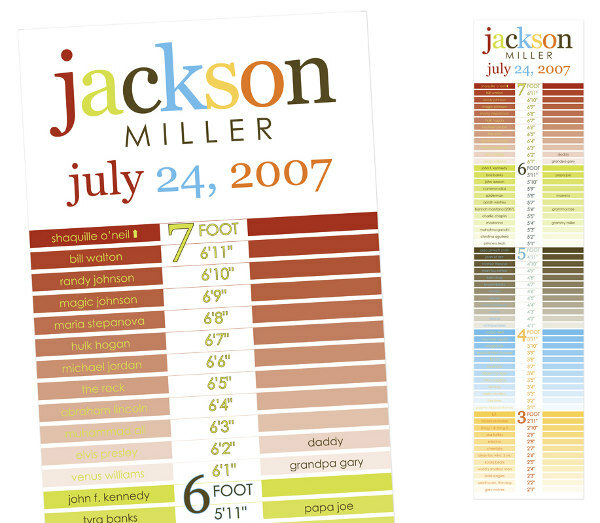 These innovative growth charts are from Erin Condren, a US-based custom stationary and homewares shop. The charts are water resistant and smudgeproof, with your child’s name and birthday at the top. On the left side of the chart is everyone and everything from Shaquille O’Neal – the tallest at 2.16 metres – to Elvis Presley, Hannah Montana to Joan of Arc (a tiny 1.21 metres) and Oompa Loompas to Star Wars icon R2-D2 (uber cool!). The right side can be personalised with family members’ names or a special tidbit can be added later by hand. 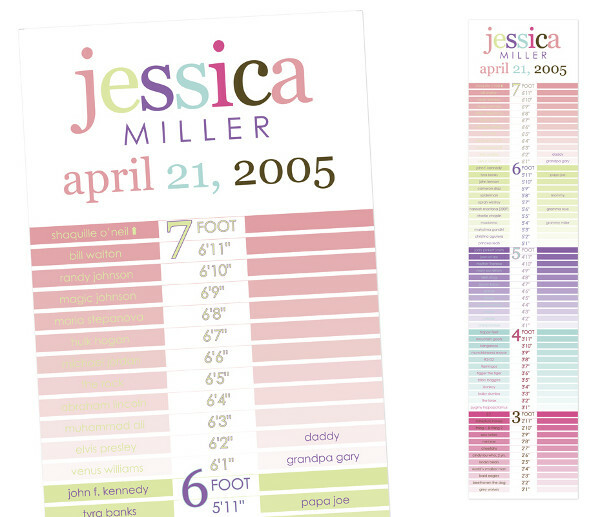 A growth chart that is clever and distinctive with a contemporary flair is not easy to find so hustle over to Erin Condren to snap one up now. A lifetime of growing memories can be rolled up for the price of US$75 plus postage to Australia. Special thanks to Babyologist Jacqui for this fabulous find.